Walther Hermann Nernst was a German scientist who won the 1920 Nobel Prize in Chemistry for his contribution to the field of thermochemistry. Walther Nernst was a German scientist who won the 1920 Nobel Prize in Chemistry for his contribution to the field of thermochemistry. He initially wanted to become a poet, but later switched to physics. Ultimately, he became one of the founders of modern physical chemistry. 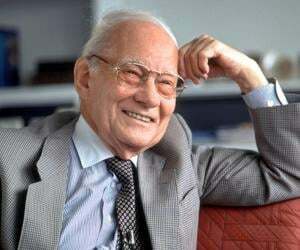 While still in his twenties, he established Nernst Equation, which sought to connect thermodynamics with electrochemical solution theory. At the same time, he also wrote a text book on physical chemistry, in which he highlighted the importance of both physics and chemistry in the treatment of chemical processes. He also gave equal importance to Avogadro’s law and thermodynamics. In fact, his work on thermodynamics earned him not only universal acclaim but also the coveted Nobel Prize. At the same time, he also invented a number of objects, which had industrial potential. For example, he spent almost a decade trying to improve incandescent lamps and finally produced Nernst Lamp. 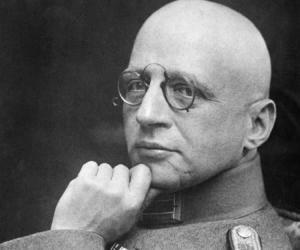 Although he was one of the signatory of ‘Manifesto of Ninety-Three’ and contributed to Germany’s war effort during the World War I he was thoroughly against the doctrines of Adolf Hitler and his Nazi Party. Consequently, he became an outcast in the beginning of 1930s and led a quite life after resigning from his post. Walther Hermann Nernst was born on 25 June 1864 in Wąbrzeźno, Poland. The town was then known as Briesen and was part of West Prussia. Walther’s father, Gustav Nernst, was a country judge. His mother’s name was Ottilie (Nerger) Nernst. He was born fourth of his parents’ five children. Walther began his education at a gymnasium at Graudenz, now known as Grudziadz. Since gymnasiums put more stress on humanities young Walther became more interested in poetry, literature, and drama. Sometime now, he even decided to become a poet. However, his ambition changed after his graduation in 1881. He attended the Universities of Zürich, Berlin and Graz, studying physics and mathematics. 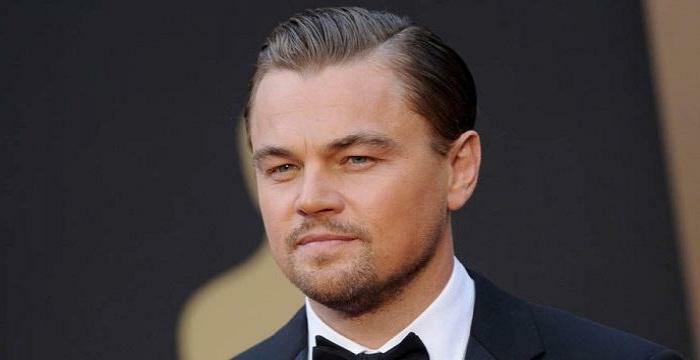 Ultimately he majored in physics and joined University of Würzburg for his doctoral degree. Here, he began to work on the effects of magnetism and heat on electrical conductivity finally receiving his PhD in 1887. After completing his PhD, Walther Nernst joined German physical chemist Friedrich Wilhelm Ostwald at the University of Leipzig. Here he began to work on diffusion coefficient of electrolytes for infinitely dilute solutions and subsequently established Nernst Equation. The work was developed further and became the basis of Habilitation thesis, which he finished in 1889. In 1891, Nernst was appointed as an associate professor at the University of Göttingen. Sometime now he also began to write a text book on physical chemistry. Titled ‘Theoretische Chemie vom Standpunkte der Avogadroschen Regel und der Thermodynamik’ (Theoretical Chemistry from the Standpoint of Avogadro's Rule and Thermodynamics) the book was published in 1893. The book became so popular that it sold 15 editions in 33 years. In 1893, he was inspired by Arrhenius theory of ionization and began to work on it. He developed a theory for the breakdown of ionic compounds in water. In 1894, Nernst received multiple offers. 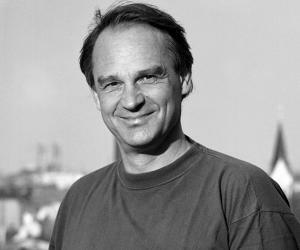 He was invited to the Physics Chairs of University of Munich and University of Berlin and at the same, to the Physical Chemistry Chair in Göttingen. He chose Göttingen. There he founded the Institute for Physical Chemistry and Electrochemistry and became its Director. He soon launched number of ambitious projects in different branches of science. Along with his research In chemistry and electrology, he also worked on developing the existing incandescent lamp and in 1897, invented the Nernst Lamp. He then sold the technology to commercial establishments and became financially secure. In 1905, Nernst was appointed as the Professor of Physical Chemistry at the University of Berlin and also as the Director of the Second Chemical Institute under the same university. In addition, he was also made a permanent member of Prussian Academy of Science. 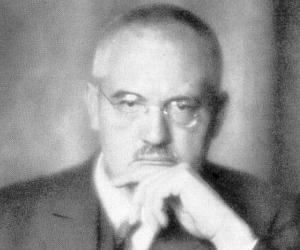 Until now Nernst had been working mainly on theories developed by his predecessors trying to solve existing problems. Now, he began to explore new topics. The thermodynamics of chemical reaction was one of them. In December 1905, Nernst presented his ‘New Heat Theorem’. It helped to calculate effects of temperature and equilibrium in various chemical reactions. Later, ‘The Third Law of Thermodynamics’ was developed from this theorem. When the First World War broke out in 1914, Nernst supported Germany’s war effort. He was one among the ninety-three eminent German scientists, who signed the ‘Manifesto of Ninety-Three’. He also became the Staff Scientific Advisor in the Imperial Army and was involved in the development of chemical weaponry. After the war, he rejoined academic career and started working on new subjects like photochemistry. In 1918, he proposed his ‘Atomic Chain Reaction Theory’. It explained why a mixture of hydrogen and chlorine gases tends to explode when exposed to light. Nernst resigned from his post at the University of Berlin in 1922 and became the Director of Physikalisch-technische Reichsanstalt. His intention was to revitalize the organization and to make it one of the premier institutes of science. However, he failed in his mission because grants were not available for such projects in post world war Germany. Therefore he returned to the University of Berlin as a Professor of Physics in 1924 and was simultaneously appointed as the Director of the newly founded Physikalisch-Chemisches Institut at the university. Nernst was an opponent of Hitler’s policies. Moreover, his daughters were married to Jews. As the Nazis began to gain prominence and anti Semitic mentality began to take ground in Germany he slowly became an outcast. In 1933, Nernst retired from his job and began to lead an isolated life. 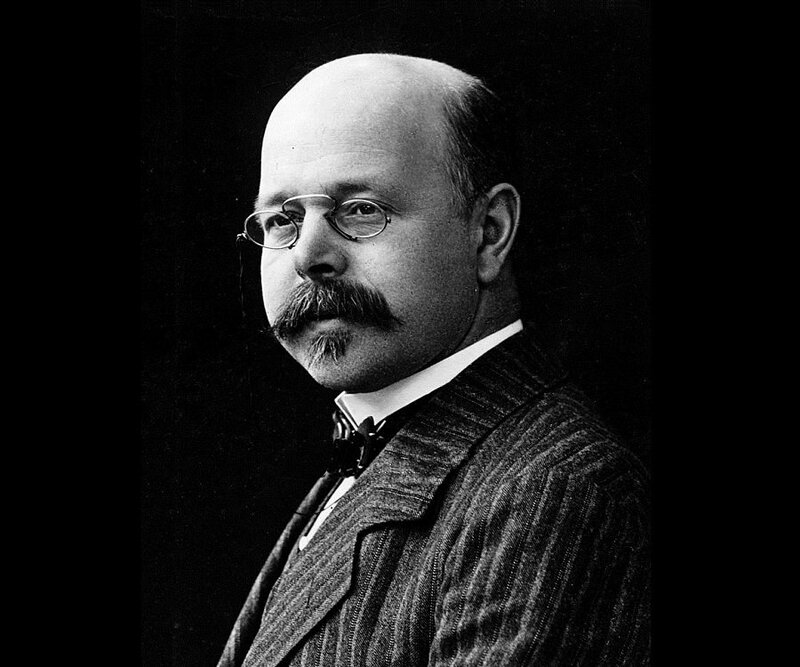 Walther Nernst is best known for his discovery of the ‘Third Law of Thermodynamics’. Initially known as ‘New Heat Theorem’, it explained the behavior of matters approaching absolute zero. Although he first presented his paper in December 1905 he kept on working on it till 1912. Finally he established that ‘it would be possible to reach absolute zero only by a series of infinite steps’. It meant that one can get close to absolute zero, but can never actually reach it. He was also a great academic and had taught an array of notable scientists including Sir Frances Simon, Richard Abegg, Irving Langmuir, Leonid Andrussow, Karl Friedrich Bonhoeffer, Frederick Lindemann, William Duane etc. Walther Nernst was awarded with 1920 Nobel Prize in Chemistry ‘in recognition of his work in thermo chemistry’. He received the prize in 1921. In 1928, he was awarded with the Franklin Medal by the Franklin Institute of Philadelphia, U.S.A. for his work in chemistry. In 1892, Walther Nernst married Emma Lohmeyer. The couple had five children; two sons and three daughters. His sons, Gustav and Rudolf Nernst died in action during the First World War. His daughters Hildegard Cahn, Angela Hahn and Edith Von Zanthier were married to Jews. It was one of the reasons why he had to resign from his job in 1933. He died on 18 November 1941, in Zibelle, Germany and is buried in Göttingen, close to the graves of his peers Max Planck, Otto Hahn and Max von Laue. Apart from the Third Law of Thermodynamics, he is remembered for Nernst equation, Nernst effect, Nernst potential, Nernst-Planck equation, Nernst lamp, Nernst glower etc. In 1930, Nernst had also invented an electric piano. In it he replaced the sounding board with radio amplifiers. It functioned in the same way as modern electric guitars do; but it was not commercially successful. Nernst contributed significantly in the rise of Albert Einstein. While Nernst was working on the Third Law, Einstein was a little known scientist working on quantum mechanics of specific heats at cryogenic temperatures in Zurich. Nernst was so impressed by his papers that he travelled all the way to Zurich to meet him. With his visit scientists began to take Einstein more seriously. Nernst also arranged suitable job for him at Berlin. It exempted Einstein from teaching duties leaving him free to experiment. In addition, Nernst also arranged grant for him and often made personal contribution from his private kitty.